Konjac sponges are made from the dried root of the distinctive-looking konjac plant, or elephant yam, so they are naturally vegan and cruelty free. The root has both starchy and jelly-like qualities, and Asian cultures have used konjac for medicines, cooking and traditional Japanese paper making for at least 1,500 years. 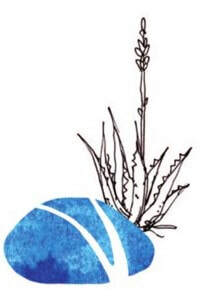 Konjac sponges have been used for over a century. They were first used to clean newborn babies because they are so wonderfully gentle on the skin. The combination of starch and jelly give the sponge a unique texture that is at the same time gentle but effective. ​Sometimes other natural ingredients such as clays are added to the sponge, to further enhance the results. 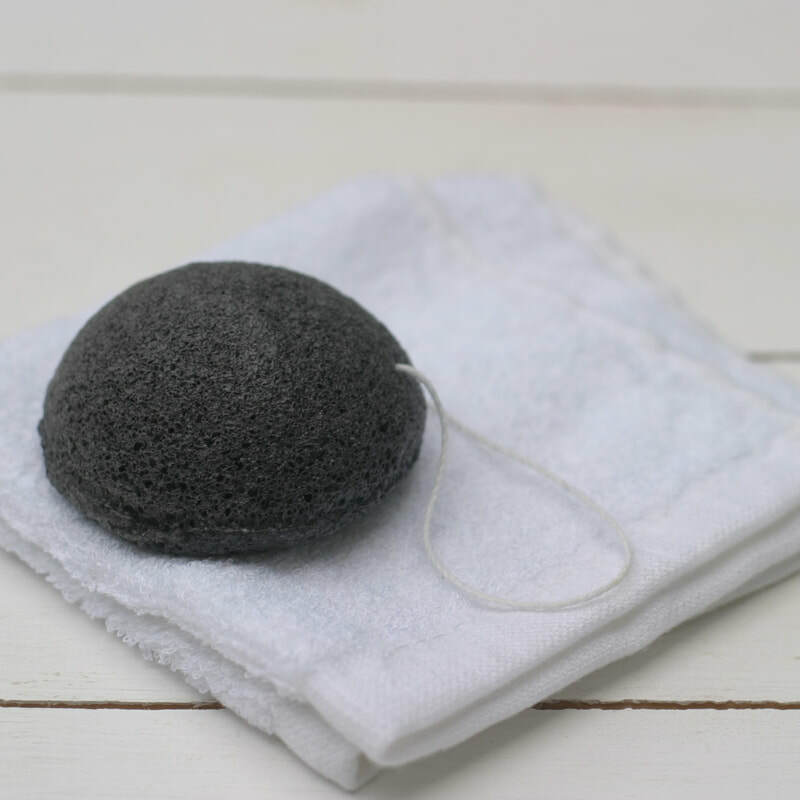 Your dark gray Pebble Beauty sponge has added charcoal for its detoxifying and mattifying properties. Using it before your mask will ensure that your skin is fully primed so you get the maximum benefits from the mask. When you unpack your konjac sponge you’ll see that it’s small and quite hard. Soak the sponge in warm water for about 15 minutes before you use it for the first time. For subsequent uses, it will only need soaking for a minute or two before it softens and expands slightly, ready for use. Once the sponge has expanded, gently squeeze the excess water out by pressing the konjac sponge between your palms. Don’t squeeze or pinch with your fingertips or finger nails as that can weaken the sponge and this will shorten its lifespan. There’s no need to use any cleanser with the sponge unless you feel that your skin is particularly dirty – the sponge will do all of the work! It will remove dirt, sunscreen, and even makeup, although if you’ve got very heavy eye make-up on, you may find you need to add a small amount of cleanser for that area. Rub the konjac sponge over your face in upward, circular motions, starting from the center of your face and extending outwards. Pay extra attention to dry or blackhead-prone areas. It’s a very gentle but effective exfoliator, so don’t feel you need to push hard or scrub your skin. If you have a facial massage you like to give yourself, you can also try following those movements using the sponge. When you’re finished, rinse the konjac sponge well with cool water and gently squeeze the excess water out by pressing the sponge between your palms. Don’t twist, wring, or stretch it. Finally, use the cotton cord to hang the sponge up to dry in a well-ventilated place, or else put it on a rack so that it can air. Alternatively, you can keep your konjac sponge in a sealed container in your fridge. Do store it away from light and excess humidity to ensure your sponge stays at its best for as long as possible. Every 2 weeks, place your konjac sponge in very hot (but not boiling) water for about 5 minutes to disinfect it, then squeeze the water out between your palms before storing the sponge as usual. Do take care when touching the hot water. Depending on how often you use it, your sponge should last for four to six weeks before you’ll need a new one. You’ll know that it’s time to replace the sponge when it no longer expands properly and it starts to disintegrate. ​Because it’s a completely natural, non-toxic, and biodegradable product, you can throw it into your compost, or add it to the soil in pots to help maintain moisture levels for your plants!